Out of stock since Tuesday, 10 July 2018. Due back soon. Out of stock since Monday, 15 October 2018. Due back soon. The Full cheek french link snaffle is a good bit for green horses as the full cheek prevents the bit being dragged through the horses mouth. Full cheek french mouth snaffles conform to the shape of the horses mouth more naturally than a jointed bit, eliminating the nutcracker action. Full cheek bits are often used on young horses to aid steering, as the cheek gives a more positive action against the cheek when the rider asks for a turn. 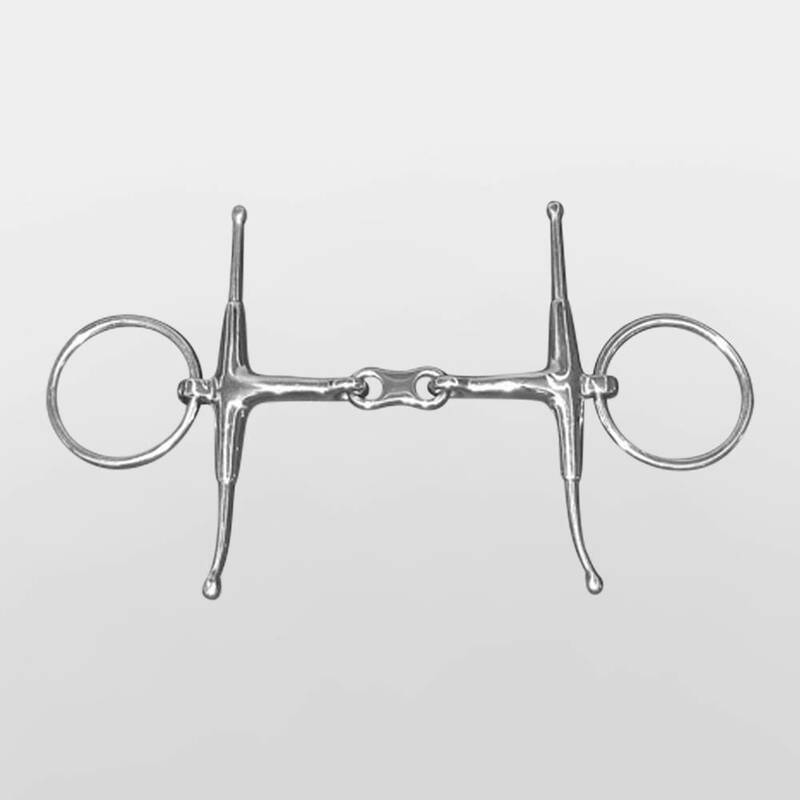 Full cheek snaffles should be used with fulmer loops which secure the top of the bit to the cheekpieces to prevent the bit from rotating and leaving the cheeks pointing out which could pose a hazard. By securing the cheek, it also allows a very small amount of poll pressure to come into play, helping to encourage a lower outline. There are currently no questions for JHL French Link Fulmer Snaffle - be the first to ask one!